Rev. 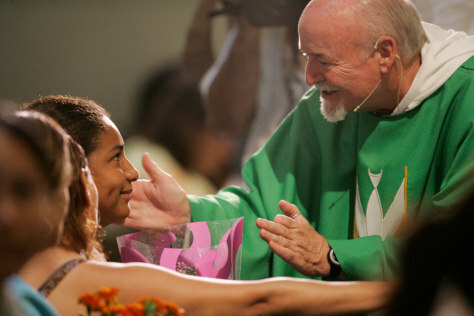 Jim Barnett, right, talks to Ana Maria Vances, 12, Sunday, at a Mass at Holy Rosary Catholic Church in Minneapolis. Vances was in a school bus when the bridge collapsed.